The creation of personal histories preserves our lives, making the specifics of our life available to our descendants forever. Whether written, spoken into a voice recorder, or recounted to the lens of a video camera, your stories are awaited by the most appreciative audience of all—your family. Far into the future, your family will read your words or listen to your voice and be grateful you took this time to put this gift together for them. 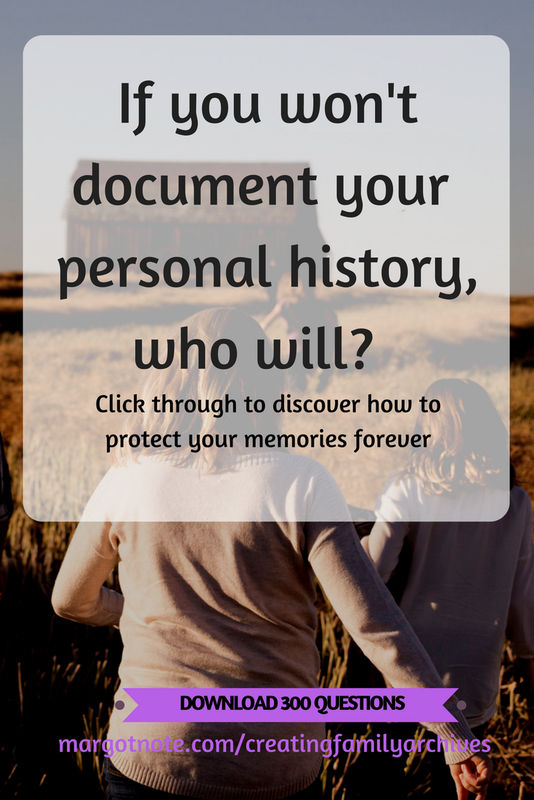 I've compiled a list of over 300 personal history questions to get you started. 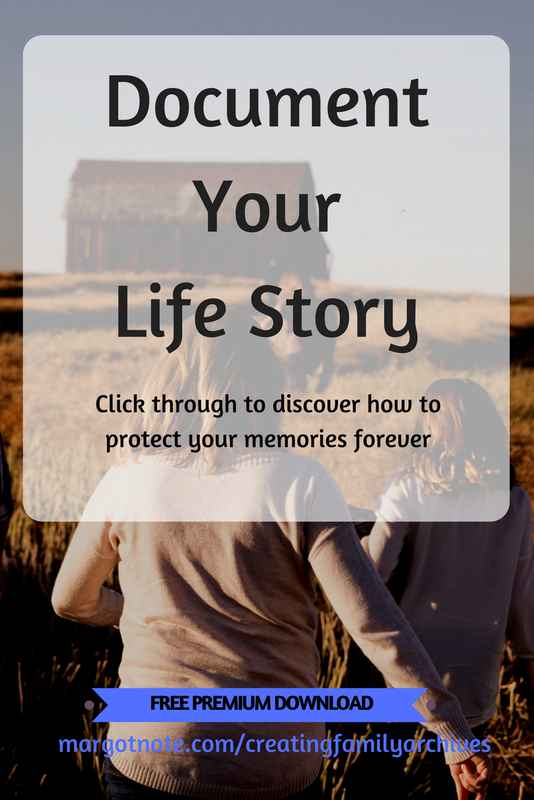 Your story will resonate with your children and grandchildren better than any famous person’s autobiography. Older people often leave an inheritance behind for their descendants, but memories don’t usually get passed along. If you are older, you can write down most of your story. Get help from your loved ones to remember special moments. If you are one or two generations younger, you can still start the story, since your early years are now behind you and the memories are still fresh in your mind. If there is a family member or friend whose life you are interested in, ask him or her to fill out these questions for you, or use it to interview the person and record his or her answers. If you are young, you can start the story and fill it out as you go. By searching ahead for experiences yet to come, you may recognize them as they appear. The most important thing for you to keep in mind is that recording your history is meant to be a pleasure to do, not a task to be completed. When you first flip through my download, it will seem as if there are a million questions. You don’t have to answer each one. In fact, if you chose just one question and answered it in the form of a note to your family, that in itself would surely please them. There are no correct or incorrect answers. The pages are complete then you say they are. Fill in only what you want. If you plan to give your children your memories as a gift for a holiday, allow yourself plenty of time to do the project to your satisfaction. Perhaps you may want to make appointments with yourself to work on it. Don’t rush—allow yourself time to savor the process. Look through old family papers and photographs. They will jog your memory. Don’t ever worry whether your writing is interesting enough. It is. Think about how much you would have cherished it had your parents or grandparents answered a list of questions like these for you. Most of all, enjoy the stories. Read, reflect, and rejoice in the wonder of life’s experiences. The Family History for Mothers Kit is available HERE. The Family History for Fathers Kit is available HERE. 50+ Halloween Family Memory Questions is available HERE.